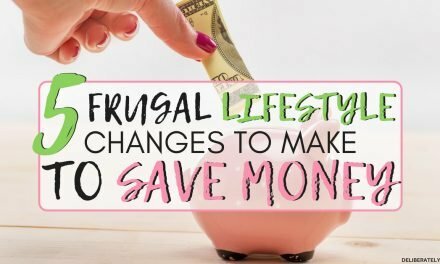 Do you struggle with saving money? Have you tried it all only to fail? Have you tried the cash envelope system yet? 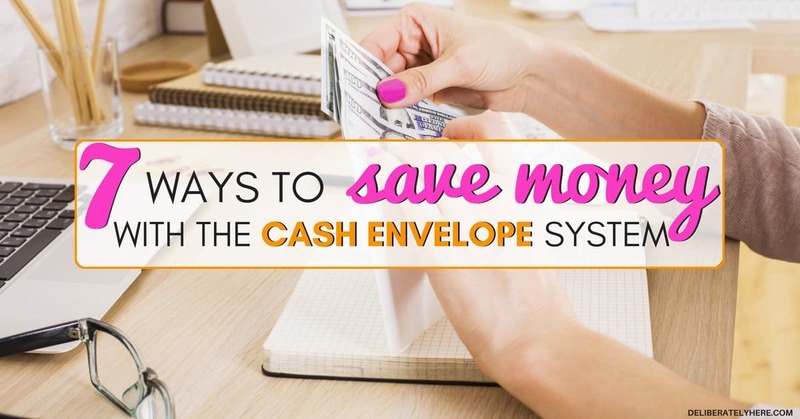 Here’s how to save money with the cash envelope system. I am a huge advocate of the cash envelope system, and here’s why. No matter how good of self-control you have, if you use credit cards on a daily basis, you are likely spending more money every month than you need to be. You might argue that and tell me that you use credit cards, but you only buy stuff you need every month. If that is you, I want to challenge you to use the cash envelope system for a single month to see how much unnecessary money you are spending with your credit card. That was me. My husband and I used our credit cards to buy everything, because of the great rewards programs they had. We only bought what we needed, and nothing more, or so I thought. We were good with our credit cards, didn’t buy anything that we couldn’t afford, and always paid them off right away. It wasn’t until last month when I decided to take on the challenge to do the cash envelope system that I realized, despite what I thought, how much money we were wasting every month by simply using our credit cards for purchases. Are you struggling to stretch your income through the whole month and wondering where all your hard-earned money is going? As much as I believe that credit cards with good rewards programs can be good, the truth is that they truly are money-suckers even to the most money-savvy of people out there. Why is this? You might be wondering. The reason that credit cards waste your money, despite your good money habits, is because when you pay with credit rather than cash you can’t see the funds leaving your bank account until you go to pay your credit card bill. Then when you do pay your bill, it’s one big chunk of money due, and even if you can see how much money you spent where, it still doesn’t hold the same value as watching the money leave your wallet at the exact moment that you make a purchase. Throughout the month you may spend $2 on a coffee every couple days, maybe you’ll even go out for dinner sometimes, but you’ll keep it cheap, maybe $20 here and there. Then when it comes to the end of the month when it’s time to pay your credit card bill, you’re stuck scratching your head wondering how you managed to rack up such a large bill. If this sounds anything like your situation, it might be time to cut up those credit cards, or even just take them out of your wallet and put them aside for a couple months as you try out the cash envelope system. 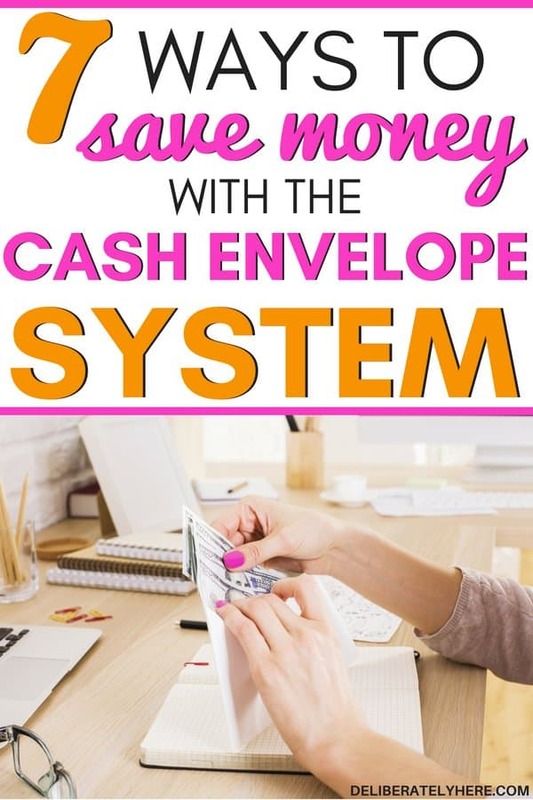 If the thought of using all cash for a month overwhelms you, don’t worry, I have laid out below exactly how to use the cash envelope system to save money, fast. The very first step in your cash envelope journey is based on whether you get paid once a month or twice a month. If you get paid once a month, once you have figured out how much you have budgeted for everything for the whole month, you will then go to the bank and take out everything in cash. If you budgeted $600 a month for groceries, go ahead and take $600 out of the bank for groceries. If you get paid twice a month, you would only take out $300 for groceries, then two weeks later when your second paycheck comes in, you would take out the remaining $300. This step is simple and quick, all you have to do is determine whether you get paid bi-weekly or monthly. In order for the cash envelope system to work and save you money, you have to have a budget set up so you know how much money you can spend a month in each budget category. These percentages are of your total net monthly income. If you have a total net monthly income of $4,000 then you would take out $200 – $800 a month to spend on groceries. I recommend taking The Ultimate Budget Breakdown if you need help creating a budget that saves you money. Many people try to budget, but just wind up spinning their tires and never gaining any traction. 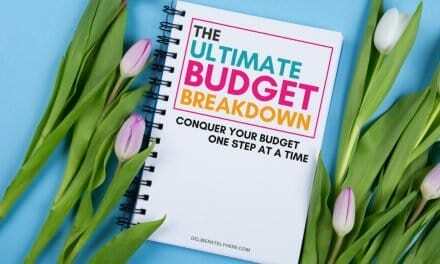 The Ultimate Budget Breakdown is for you if you’ve ever felt that way, if your budget and finances feel like they’re too far gone or too far out of reach. You can learn more about it here. The Spend Well Budgeting System by Carrie Elle is the very cash budgeting system that got me started and with cash budgeting. 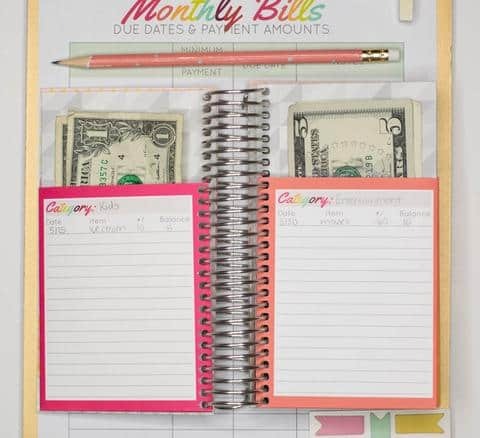 Carrie has laid the Spend Well budgeting system out so strategically, it is a large-ringed handheld notebook binder that has many different sections for you to put all your cash into for all your different budgeting categories. It then has a place for you to write in that budgeting category any time you take money out or put it in. You can specify if money is being taken out or put in, what the date was, where you spent the money, and the amount of money that was withdrawn or credited. The one thing about cash budgeting is that it can get pretty unorganized, and cause you to feel overwhelmed. 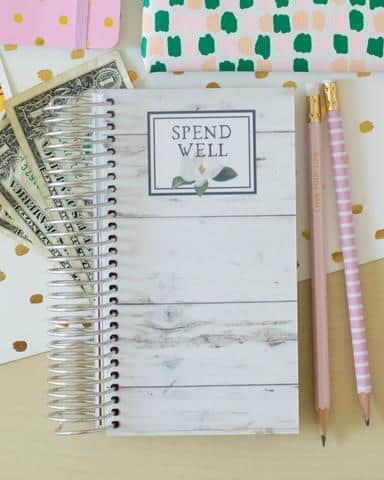 With the Spend Well Budgeting System, you can easily keep all your cash organized and in one place together, and you can keep track of any time you use cash out of your budget, so that at the end of the month you can easily look back and see exactly where you spent your money that month. I have nothing but good things to say about the Spend Well Budgeting System, I love mine and I highly encourage you to go check them out to see if they’re the right fit for you, too. Don’t let yourself get tempted to pull out that old credit or debit card of yours. Make sure you use cash only throughout the entire month, or however long you are setting out to do the cash envelope system. If you use cash for some purchases, and credit cards for others, it just won’t work. To really reap the benefits and savings that the cash envelope system has to offer, you need to make sure you only use cash. No cheating. Just like the above point, being honest with yourself when you use the cash envelope system is equally important. If you do bend and give in to that temptation to buy a $200 lamp, lie to yourself and only use $50 cash and put the rest on a card. Be honest with yourself and take out the whole $200 cash, even if that is all you had to spend on personal stuff for the month. Being honest with yourself, your budget, and your money is one of the most important things to do if you want to be able to achieve financial success. Creating financial goals are the key ingredients to turning your financial situation around. Your financial goals could be anything like spending $50 less on groceries this month than you budgeted for, and using that extra money to go towards paying off debt, or it could be putting more money into your savings account this month. Everyone’s financial goals are all different, just like everyone’s financial situations are all different. You are only buying what you can afford. When you buy things with cash you are forced to only buy things that you have the money for – and you have to be careful not to blow it all on one purchase because you know this amount of money has to last you through the whole month.Once it’s gone, it’s gone. When you buy with a credit card and don’t actually see the money going out from your wallet or bank account it’s a lot easier to make bigger purchases without much thought going into them.With the cash budgeting system, you will be forced to think about your purchases and you will have to make sure the thing you want to buy is worth it because you have a very limited amount of money to use for the month. You don’t waste money on late charges.Any late or overcharges that you may face with a credit or debit card are non-existent with the cash budgeting method. Like the above point, it is because you are only buying what you can afford, and you are paying for it all up front, in cash. No more throwing your money away with late charges. You are learning discipline.If you have unhealthy spending habits that you have never quite been able to conquer, the cash envelope system will teach you money discipline, very fast. 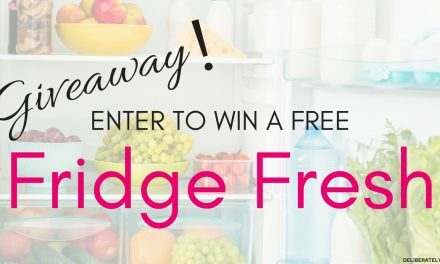 You will have to learn how to split your money up to make it last through the whole month.You will have to learn when you are grocery shopping, that if you only brought $100 along to spend on groceries and you have $104 worth of groceries in your shopping cart, you are going to have to put something back. The cash budgeting system will teach you how to manage your money in a smart manner and help you create good money habits. It’s fast and effective.The cash envelope budgeting system is no joke, and as soon as you spend a month doing it you will learn how quickly it works. Unlike the other money saving methods that take a couple months of implementing before you start seeing any changes, the cash envelope system works almost instantly.You can see the savings you are making with the cash envelope system from the very first month, and because of this, it is a very encouraging money saving method. IS THE CASH ENVELOPE SYSTEM EVEN EFFECTIVE? The short answer to this is, yes! It really is. There is a reason why it is one of the most widely known budgeting systems available. The thing I love most about the cash envelope budgeting system, besides the fact that it is such an effective way to save money, is that it doesn’t cost anything to start. You don’t need to enroll in a course to learn how to do it and you don’t need to invest all your hard-earned money into materials to make the cash envelope system work. All you need is to throw those credit cards away, access to a bank or ATM to get your cash out, and some envelopes. 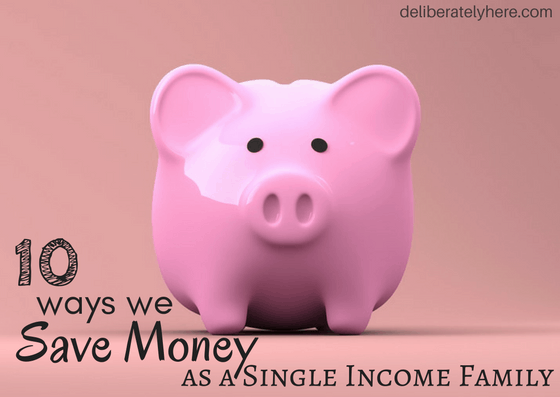 Though I do highly recommend the Spend Well Budgeting System, it isn’t a necessity – but it certainly makes my cash budget system life easier. What are your favorite ways how to save money with the cash envelope system? Have you ever given the cash envelope budgeting system a try? Did it work for you? Why or why not? Don’t get discouraged if it takes you some time to get used to the idea of the cash envelope system – you will get used to it and you will start saving money before you know it. 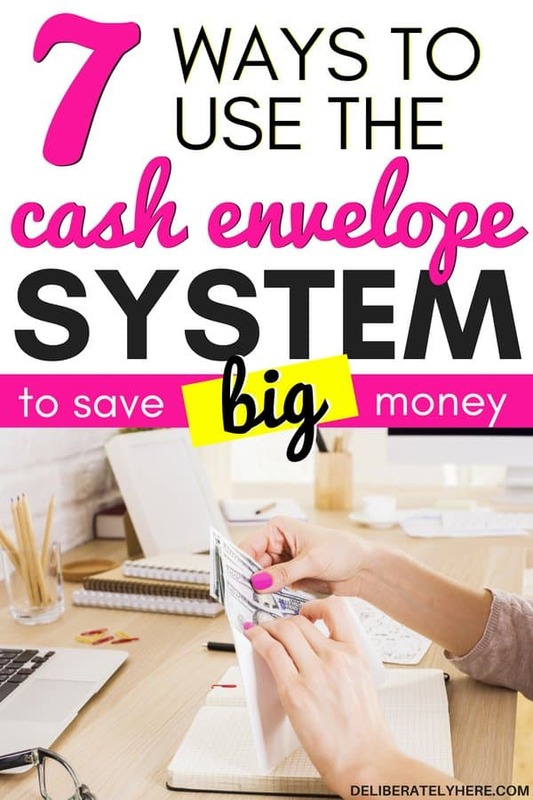 How to save money with the cash envelope system today!